What comes to mind when people hear the words e-commerce? Probably, a couple of years ago, it just meant to shop online but today it has become more of a lifestyle especially in the metro cities around the world. There was a time when people didn’t like the idea of purchasing stuff online but today everything seems to be changing. The world has become more accessible to the shoppers. E-commerce has seen a boon in the last 10-15 years. We have seen a rise in the number of e-commerce websites coming in the market with companies like Amazon and Flipkart leading the way. You can buy almost everything there, literally everything. Now more people want to ride on this trend and sell their products on the web. The small and medium size business owners want to go out there and reach to a broader range of customer base. But the problems that those business owners face are mostly technical aspects of developing an e-commerce website and keep maintaining it. Companies like Amazon and Flipkart are massive and they have a whole bunch of teams to do the technical work for them. I mean, these are the big guns. So, what will the small guy do here? That is where Magento comes into place. Magento, provides a complete end to end e-commerce solution out of the box. Magento is like a saviour that all the small and medium business owners want. 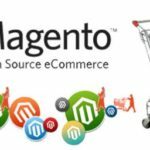 So what is magento? Magento gives you a rich admin panel from where you can manage all of your catalog. You can manage your inventory. You can different types of products like downloadable products, group products etc. You can see upload your products in bulk. You can change product prices according to customers and tax rules. You can view, edit, create and fulfill orders from the admin panel. You can create invoices, shipments and manage refunds from the order management panel. In fact the order management panel of Magento is in fact one of the top features of magneto. Every business owner wants to keep a track on the sales. You want to know how much you sold, to which location you sold and what is your growing customer base. Magento provides you full sales reports that you can use. This is just the tip of the iceberg. Magento can do much more. Plus it has a rich community. If you want to have some extra features for your store, you can easily find a ready module for that in the magento community. According to official Magento website, more than 250,000 merchants around the globe are using Magento for their online shops. So, now you know that almost everyone uses it. So what are you waiting for. If you want to have an online shop, you know what to do. Ishan is our resident "Ninja" with expertise in Magento | Core PHP | Wordpress and handles experience of 3 years.